"It’s been compared to an ice cream truck, luring people out of their homes for a taste of something wonderful. 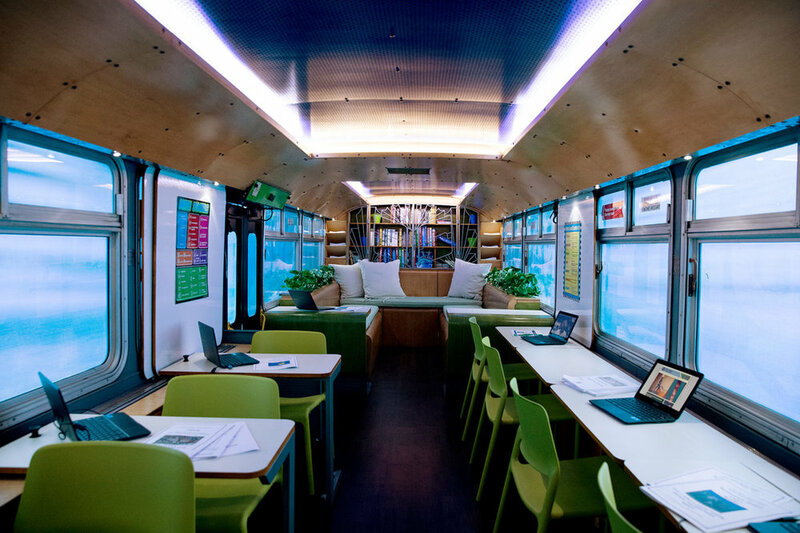 But our sleek, new mobile classroom on a retired city bus peddles something better: an education. Our lime-green bus, emblazoned with the name The Self-Determination Project, is an ambassador for Five Keys, helping people choose their own path in life rather than stumbling along one strewn with gangs, drugs, and possibly, jail."